Julia Brothers can currently be seen on stage in Gulfshore Playhouse’s production of BODY AWARENESS. You may remember her as Inspector Goring from last years production of THE GAME’S AFOOT. 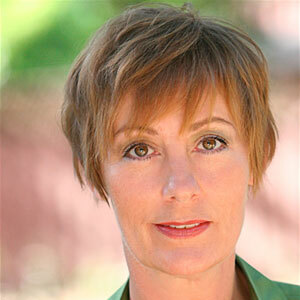 Ms. Brothers is a very accomplished actress who was named the 2006 MVP for Theatre by the San Francisco Chronicle. She has performed all across the country including on Broadway in RELATIVELY SPEAKING, three one act comedies by Ethan Coen, Elaine May and Woody Allen, directed by John Turturro. Very strange things happen when you spend 8 – 12 hours a day, 6 days a week rehearsing a play very intensely, working feverishly to find the character and the truth of the life you are portraying. Each day the character becomes more real, more substantive. You begin to walk like that person and talk like that person. All day in rehearsal, every day. At night you go home and work on the script, the newly forming character guiding your (hopefully) ever-deepening understanding of the play and its inhabitants. Suddenly your days are free. The phone calls and emails from the real world need to be answered. Bills need to be paid. Appointments need to be kept. Clothes need to be laundered. Food needs to be bought. The excuse, “I can’t, I have rehearsal,” no longer applies. Your days are once again relegated to…sigh…reality. Your character only lives at the theatre. Like a in a Stephen King novel, the character starts creeping into your real life in unexpected and surprising ways. You are doing a play in which your character is an argumentative, abrasive in-your-face fighter. In real life, you are a polite Mid-Westerner, quick with a smile and an “oh, gee, that’s swell.” You have opened the play this past weekend. It is Monday. Your first day off. You are in the checkout line at the grocery store. The guy behind you unknowingly knocks into you with his cart. You spin around. He is busy putting his groceries onto the conveyor belt. Suddenly, you hear someone say, “HEY! A##shole! What do you think you are doing?!! ?” The guy looks, up shocked. You look at him, shocked. You think, “WHO just said that?” and realize YOU just said that – all in the same moment. Red-faced and stammering, you blurt out an apology, horrified that you spoke to someone in that manner. You are playing a character who is an illiterate insomniac. Suddenly you stop reading every night and the precious books piled up beside your bed grow dusty. You begin to watch reality tv by the hour – all night into the dawn. You stumble through your real life, irritable and not knowing why you can’t concentrate on anything. You can’t wait to get to the theatre where everything clicks. And then the play closes. Sometimes it leaves you feeling bereft: you’ve just lost your best friend, and a loneliness seeps in that only time will heal. Other times you rejoice: you are finally free of that person who has been keeping you awake and getting you into fights at the grocery store. You get hired for your next job. You read the script. Your character works off the coast of Maine in a commercial fishing vessel. The next week, you are at a restaurant with friends and wonder why, for the first time in 15 years, you are ordering lobster. What an insightful depiction of the internal workings of an actor! Thank you!